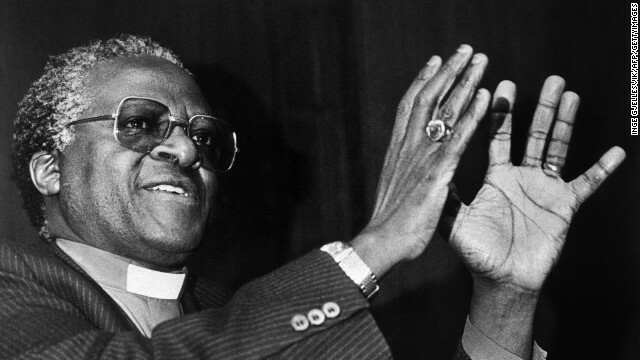 Desmond Tutu became an icon in South Africa for his role in ending apartheid. (CNN) -- Nobel Peace Prize winner Archbishop Desmond Tutu has canceled his travel for the remainder of the year as he battles cancer, one of his foundations said Tuesday. Tutu, 83, has battled prostate cancer for years. In a Twitter post Tuesday, he thanked supporters "for the well wishes and concern." "You may know I canceled my trip to Rome for the World Summit of Nobel Peace Laureates due to a reaction to a new treatment for my prostate and strengthening my bones," Tutu said in a statement posted to his Facebook page. "It is benign and these issues are par for the course." 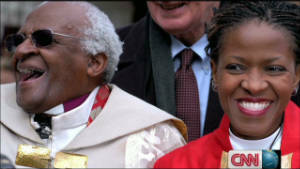 The Desmond and Leah Tutu Legacy Foundation first announced the news Tuesday. It wasn't clear if or when the South African icon might resume traveling. 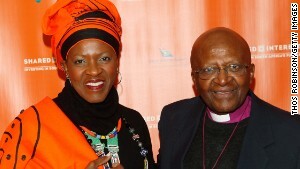 His daughter and that foundation's executive director, Mpho Tutu, said the changed plans don't mean there is a crisis, adding that her father is simply at home while his body adjusts to new medication. An Anglican priest ordained in 1961, Tutu earned the Nobel Peace Prize in 1984 for his efforts to end apartheid in his native South Africa. He went on to play a key role in that nation's transition from the apartheid era, including serving as chairman of the Truth and Reconciliation Commission at the direction of then-South African President Nelson Mandela. He has remained active well into his 80s, including with the Desmond Tutu Peace Foundation and other organizations.